Bluebird London NYC is located on the third floor of the shops at Columbus Circle and encompasses an all-day Coffee and Wine bar, Gallery, Cocktail Bar and Restaurant overlooking Central Park. <br><br>The restaurant, envisioned by restaurant group D&D London, is an expansion of the beloved Chelsea namesake – an iconic restaurant at the forefront of London’s dining and social scene; celebrated not only for its food and wine but also its design, buzz and glamour. 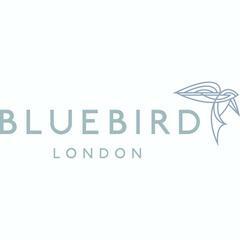 <br><br>Bluebird London NYC is helmed by Executive Chef Nicholas Houlbert and serves a menu that is merriment of Classic and Modern British dishes and New York favourites offering: Breakfast, Brunch, Lunch, Dinner and Afternoon Tea.<br><br>Bluebird also boasts a cocktail bar and gallery, overseen by Rosario Toscano and offering an eclectic bar programme showcasing local and UK-based brewers and distillers, an impressive selection of domestic and imported gins and a global wine list.